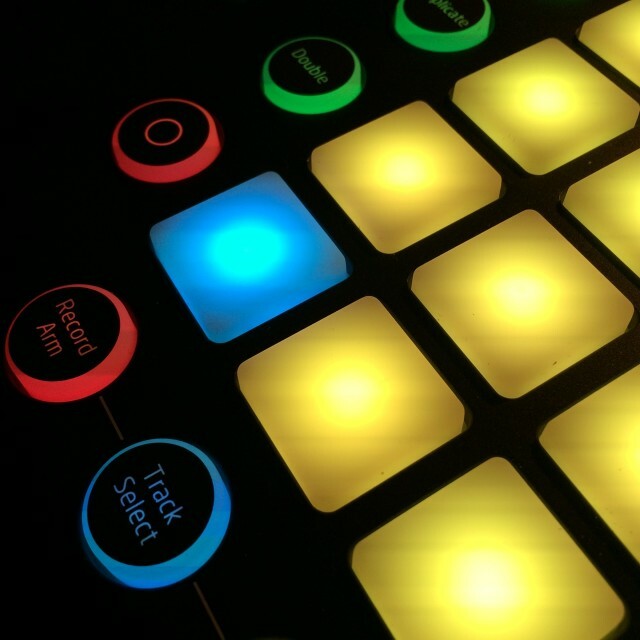 Novation’s Launchpad Pro has just begun shipping, and it’s lovely, very flexible hardware. You can use it with Ableton Live. You can use it with other software, as a standard MIDI controller. It’s USB class-compliant, so it works with other devices and operating systems, like the iPad and Raspberry Pi. You can change how it works with Max for Live, or any software that supports MIDI. And it works in a variety of standalone modes, so you can use it to play hardware without connecting to a computer. That’s a lot, already. 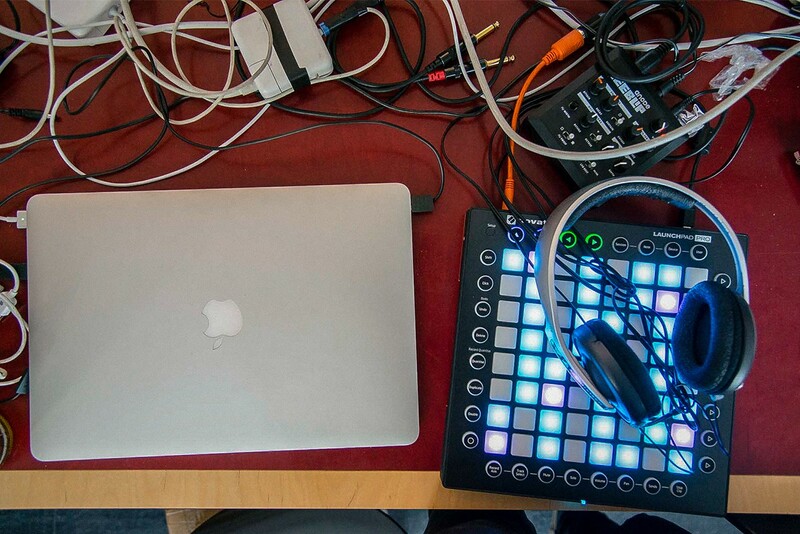 But soon, the Launchpad Pro could do more. Now, you’re not actually hacking the entire Novation firmware. That’d cause potential mayhem, and apart from being a support nightmare for Novation, it’d be more or less a nightmare for you, too – and wouldn’t really yield any interesting results. Instead, you can think of this as an open API to the hardware itself. You can’t “brick” the device, or otherwise break it. What you can do is make new applications for the Launchpad Pro as a standalone device. 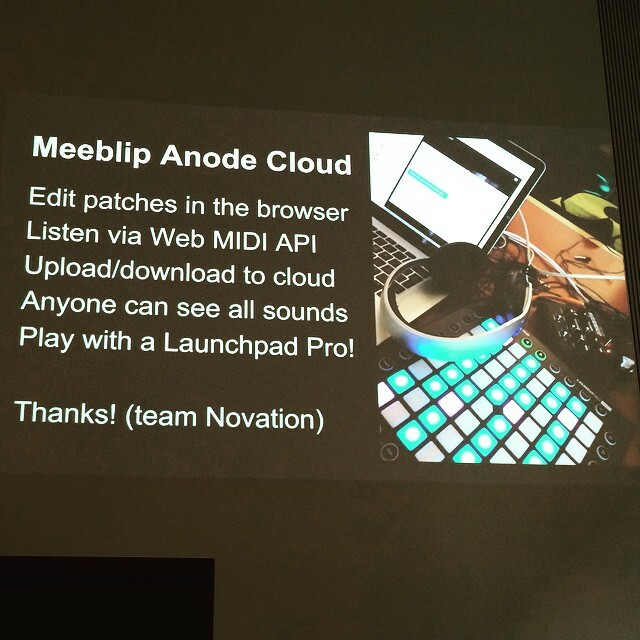 Thanks to the Novation team for messing with our synth at a hack day recently! At your disposal is the Launchpad Pro’s brain, an ARM Cortex M3 from STMicroelectronics. (72 MHz, baby!) To make life easier, they’ve even built a virtual machine you can install so your developer environment is ready to run. Then, you build on a command line or in Eclipse and upload via MIDI – fairly easy stuff. You code in C – the app.c file shows you what’s going on. Even with pretty basic coding skills, it’s pretty accessible; that’s the advantage of them hiding away the nasty stuff you’d only want to touch if you were an experienced developer and Novation offered you a job. With just those elements, you can do a whole lot. Fun hacks light light shows and games are possible, and might be an enjoyable way to learn. But you’ll also be able to create musical applications that aren’t already on the hardware, like chord generators, arpeggiators, or even a step sequencer. This could be huge for Launchpad Pro owners even if you aren’t a coder, because it could mean a community around the device sharing this stuff and supporting one another. To make things even easier, though, we’re talking with Novation about how some examples might be produced that will help get people started. I love the idea, though, as a musician as much as a hacker. It opens up the possibility of having standalone hardware in the studio you can use with or without a computer, ready to perform the tasks you want in your music creation process. And it means you can imagine something and get it working on hardware without the daunting task of trying to build something from scratch. I think it’s potentially a great companion to our open source, standalone, ready-to-play MeeBlip synth – you’ll spot one in the shot above, getting some use at the recent MIDI Hack in Berlin. And I don’t just mean as a product – it’s something I want to use with my MeeBlips, myself! There really isn’t any direct comparison, either – grid hardware with velocity and standalone operation that you can hack directly on the device. Of course, the whole initiative from Novation does owe a huge debt, though, to the monome line, and the fact that that maker and its community really championed and popularized the idea of sharing open musical solutions around a piece of hardware. It’s difficult to overstate the impact Brian Crabtree, Kelli Cain, and the monome musicians have had on the industry, as well as all the people who have been organizing these hack days and producing creative ideas. Stay tuned for more on where this is leading. And if you have feedback on that API or what you’d like to see, let us know in comments.